So this has been a week of change. January 14, 2017 was the official closing of our church. Hubby is currently jobless, so we are working on living on severance as he looks for new work. Toilets needed to be repaired thus necessitating a change in schooling on two days. But we still got school and life lived eh? The lad again worked like mad to get all his schooling done before heading out to London and Gramma’s for the afternoon. He’s currently working on building a pikachu for his dad. It’s proving to be a bit tougher than the other one that he made so no pictures available yet. oh.. what did we do then? (usually I write these up as the week passes)…. OH! right we made a human skeleton! 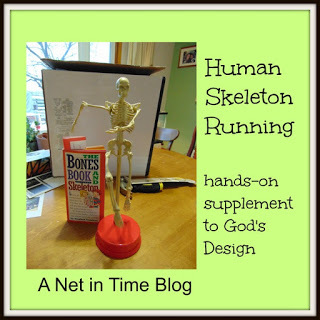 🙂 We are using God’s design to study the human body and currently are learning about bones. We also did our other schooling. We would normally go to the foodbank but we had a “closing interview” that we needed to be home for so… we stayed home and got some schooling done. We did math differently today. Studied probabilities with the game of Sudoku. Got other schooling done as well. The lad was so good, doing some art on his own while we finished up the interview. Had an unexpected trip to London, decided to take along all my young stock and sell them to the pet store. Variable weather can play havoc with rabbits, so figured it was better to get them into a brick and mortar building. Hubby needed to pick up some wax rings in order to fix the toilets. Plans were made to fix the toilets on Friday. We also made an automaton which worked! It was rather cool. Had plans to do art but that didn’t work out timewise. But the automaton worked!!! Big day… grading for orange belt in karate! Here he is showing he knows his katas. Sorry for blurriness at the end camera went wonky. Question of the Day: How Do They Make Pudding Cups? Welcome welcome one and all.. to the first letter of the alphabet. The letter A. You’ll join Amanda and I won’t you? I am so looking forward to seeing what others have to say. It’ll be fun eh? Today we start with Sidney Altman, a scientist who received the Nobel Prize in 1989 for his work in Chemistry. Born in Montreal, Quebec in 1939 the son of working class immigrant parents. His dad owned a grocery store and his mom worked in a textile mill. Learning from his parents the value of hard work and determination, which served him well in the long run. As a youth he read anything he could get his hands on. Reading a book Explaining The Atom by Selig Hecht got him hooked on science. Educated at Massachusetts Institute of Technology in physics, he later changed his major to biophysics. He studied chemical compounds called acridines, focuses on how they affected the replication of viruses that infect bacteria. He had many false starts and job changes over the years, eventually finding himself working in England, which is where he started on the path leading to the Nobel Prize. His work led him back to the United States. 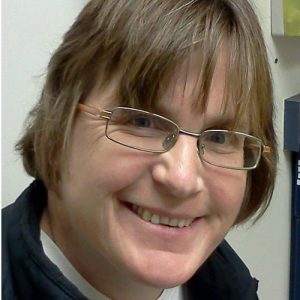 Working with RNA (Ribonucleic acid) he, over a period of 20 years, discovers catalytic RNA, thus earning the Nobel Prize. Mr. Altman remains a Canadian Citizen, though he is dual citizen with the USA. His work with RNA continues. 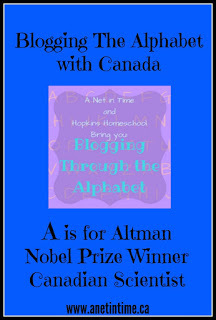 Sidney Altman, Canadian Citizen, winner of the Nobel Prize, Holder of the Letter A for this week of Blogging through the Alphabet. 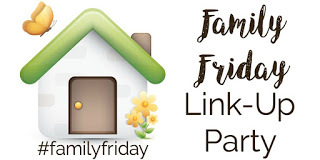 Feel free to link up your family friendly posts using the letter A this week. 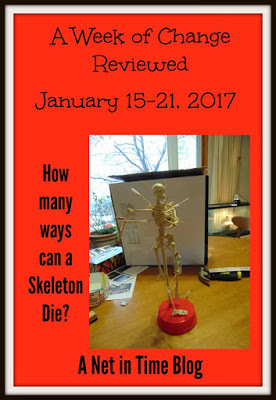 My son and I have … A struggle with math and I have to admit that I am not always sure what to do with it. He’s been getting a bit weary with the struggle (as am I). 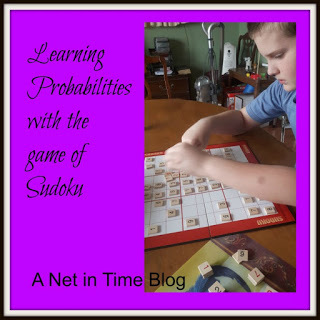 We had picked up a math program last year that I thought would work well for him but it has proven, over time, to be far too easy for him, yet I know he has gaps in his learning (as evidenced today when, to my surprise, I learned that he doesn’t really get what fractions are)…yet he has done lots of fraction work and done it well! So… I’m currently feeling a bit floored and flummoxed. So anyways, the point of this post is about math.. practical math as you can see from my post title, and how needful taking a day away can be. 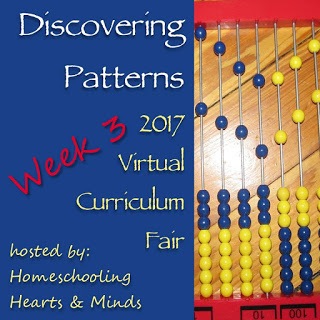 Susan from Homeschooling Hearts and Minds is hosting the Virtual Curriculum Fair this month and math is the focus this week. 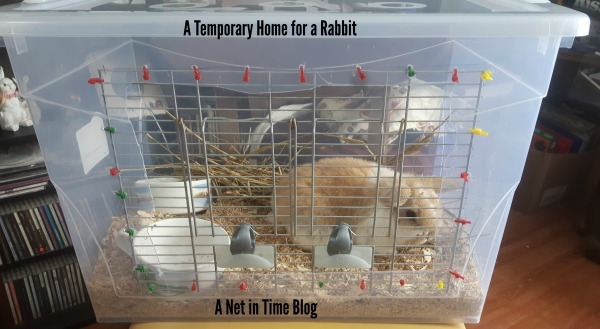 Recently I had to bring a bunny to London, a person from Toronto was planning to come by to get the rabbit, but we live in South-western Ontario where we are prone to winter storms, so bunny needed to travel in something that would hold for a few days, if their person couldn’t make it. ERGO enters a practical math problem. needs to open and close easily to avoid confusing gramma. 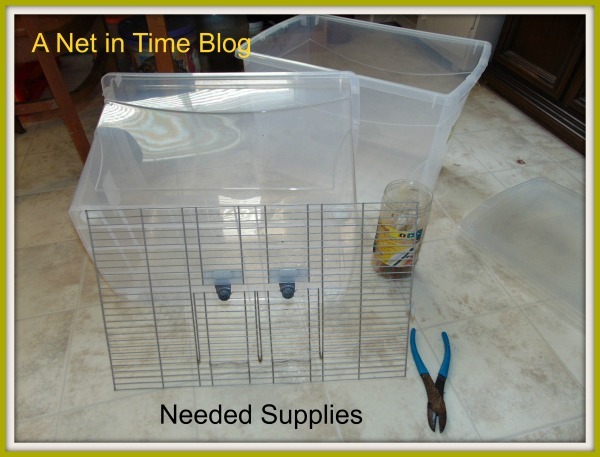 I’d heard about rabbit carriers being made out of rubbermaid containers so thought that might be the route to go. Canadian Tire had a sale on containers so off I set. We came home with two containers (in case we made an oops). I said “Math is more than measuring, it’s doing estimation and lines, learning how to use a straight edge and stuff like that”. So we used line of sight, hand measurements, estimation and approximation, and so forth. 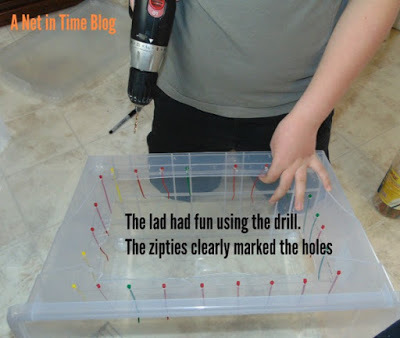 He was happy.. he got to use a drill once I showed him how to do a quick up and down with the bit. He learned how slippery plastic was to cut and so learned to slow down so he wouldn’t take mom’s fingers with it. I have to admit, that even though my lad is very good with knives I didn’t allow him to do any cutting. Cutting plastic can be temperamental and using a really sharp knife is a must. As it was I got nicks taken out of my fingers. First up. 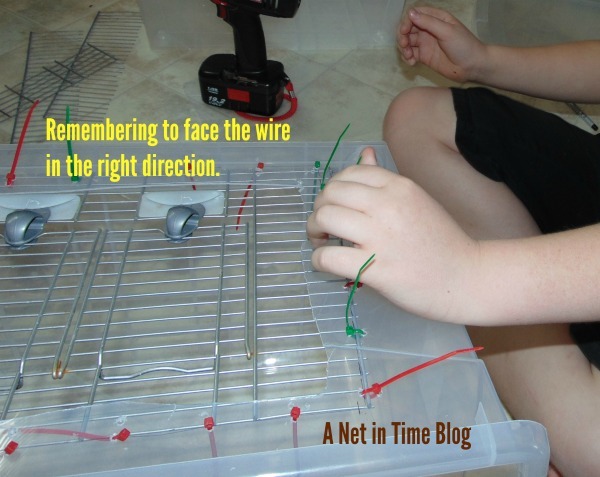 Taking one piece of wire (taken from an old bird cage) and eye ball it to see what we have to cut back. It was too wide and a touch too long. We needed to consider having room to connect it, maintain the stability of the container, and not waste the wire we had. Using the wire cutters with the wire was pretty easy though dad had to lend his strength to cut through the thick wires. Cutting through the plastic had dad helping with drilling holes into the corners. We learned quickly that regardless of what markers I used they didn’t hold well on the plastic making it difficult to see the lines, so after helping cut one line with the jigsaw and not being able to see the lines he left me to cut the rest with my sharp blade. We needed to put two holes close together to hold the wire onto the sides. It proved to be a two person job to attach the wire. Working from opposite corners we managed to get the job done. 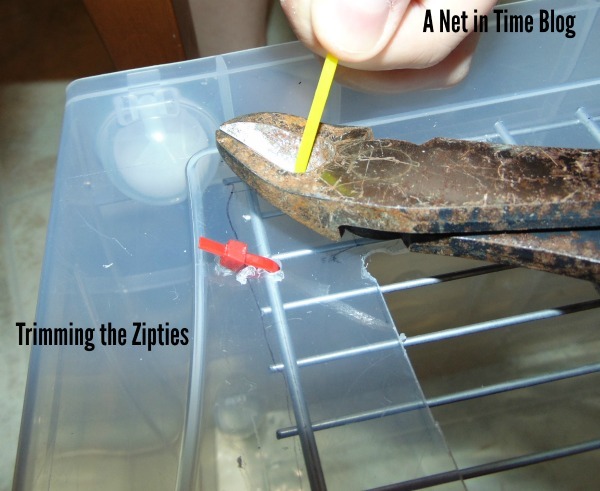 The lad completed the job by trimming off the excess ziptie (to keep bunny from thinking…ooh.. free nibbles here!) Yes, bunnies can be silly. This took us about a half hour from start to finish, including installing bunny in her temporary home. Does she look content? Hay given, water and pellets when she gets to gramma’s. She should do well eh? Opens from the top as well as the sides for ease of access. Turned out to be a good thing as gramma couldn’t figure out the side panels at all. The bedding for those curious, is a mixed shaving and straw bedding. Safe to use with small animals. 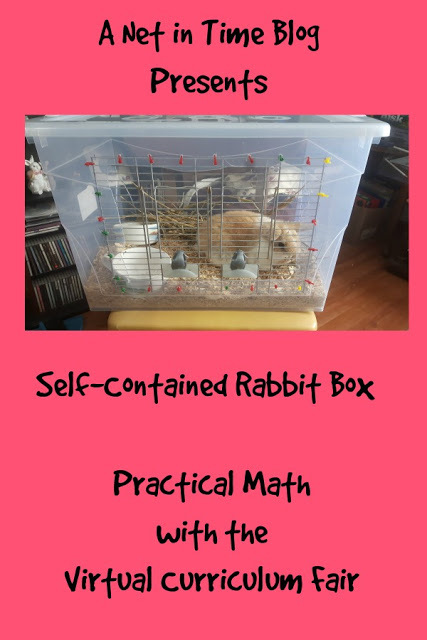 My math weary child was so delighted to use this project for his math work, it inspired him back to doing “regular” math… even though fractions proved more problematic than we thought they would. 🙂 go figure. Sometimes taking a day to do practical math.. even without actual numbers .. is just what a lad needs. 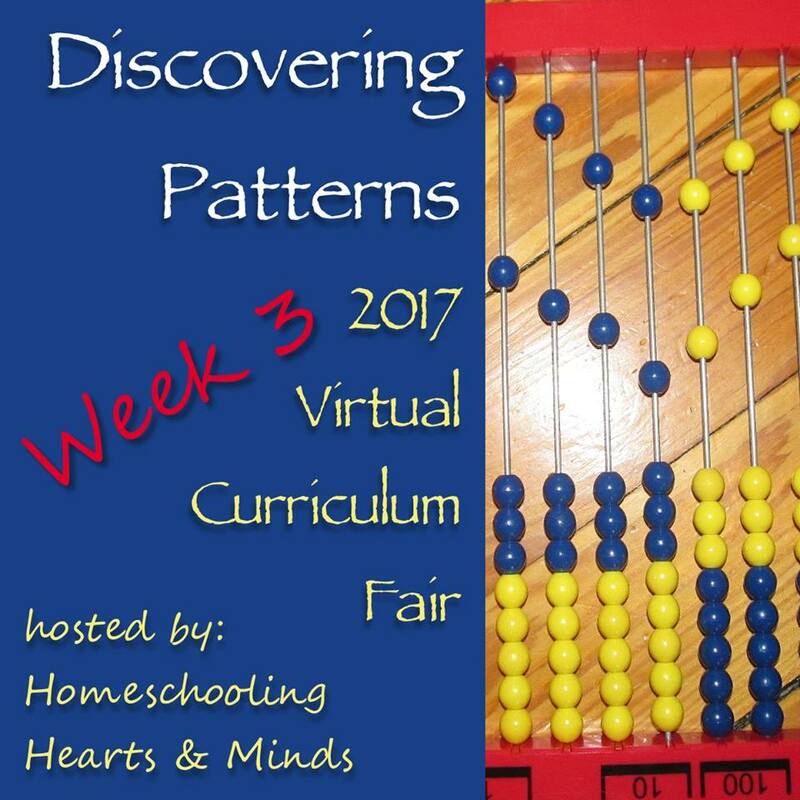 This post is part of the Virtual Curriculum Fair, it’s math week .. having fun with numbers. 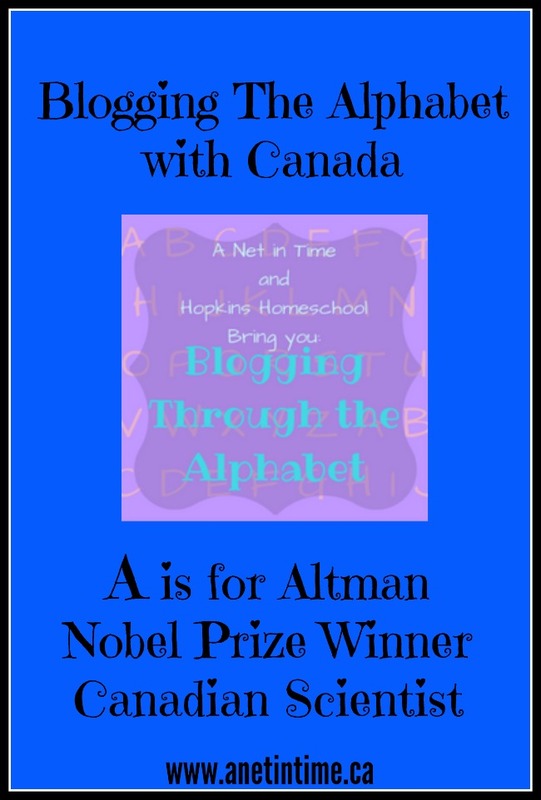 This post will also be linked up on January 25 with the Canadian Homeschooler. 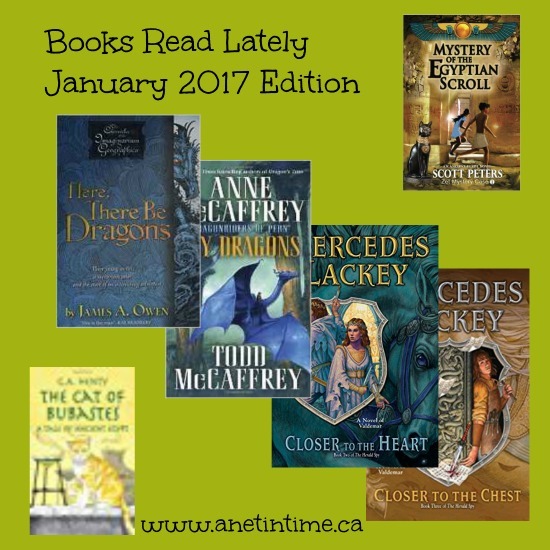 I wanted to update you on some of the books we’ve read lately. 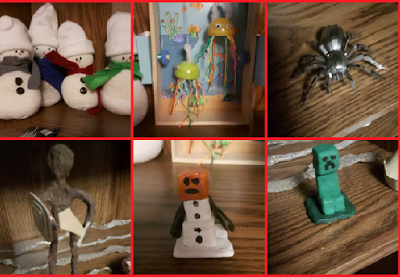 They’ve been a varied bunch, but I thought you might like them. The Cat of Bubastes: A Tale of Ancient Egypt . This is a GA Henty book that took us quite a while to finish. We did it as a read-aloud, starting with it being a lunch time book and then a bed time book so we could get it done. I found it very wordy and often summarized sections with my lad. BUT the tale itself is well done with it becoming not only a story about Egypt but of people coming to the know the Lord and how, in time, it changed an entire people group. Excellent story. 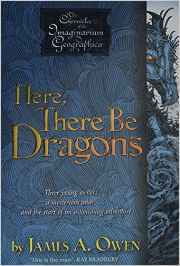 Here, There Be Dragons I read this one for myself a while ago and it’s been sitting in my “put this on my blog” pile. 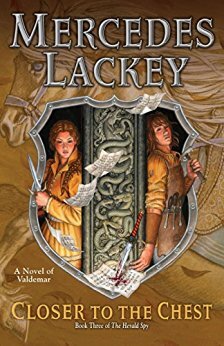 🙂 Good read, want to read more in the series. 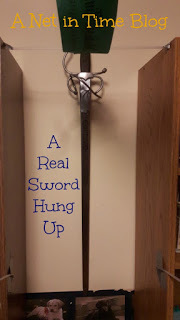 It’s a typical protect the world from the bad guys type of fantasy fiction. Good read though. 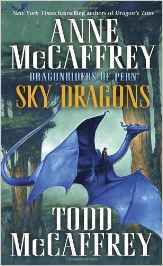 Character development, interesting scenes..
Sky Dragons: Dragonriders of Pern . 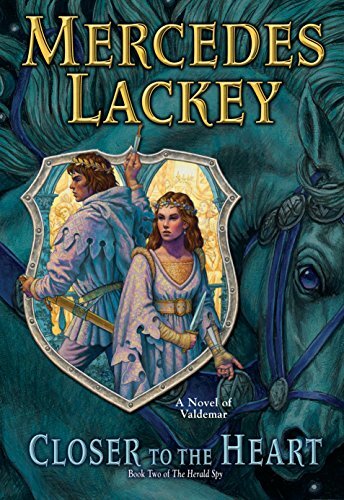 I freely admit that I love Anne McCaffrey books, and the books she writes with her son Todd… love them too. The Dragonriders of Pern are one of my favourite fantasy books. Dragons, danger, people, mystery, drama and they have everything. I really hope that when my lad gets a touch older that he will love this series as much as I do. Time will tell eh? Anyways, SkyDragons takes us back in time to Xhinnia needing to help save Pern. They land in an area with no caves and no safety. 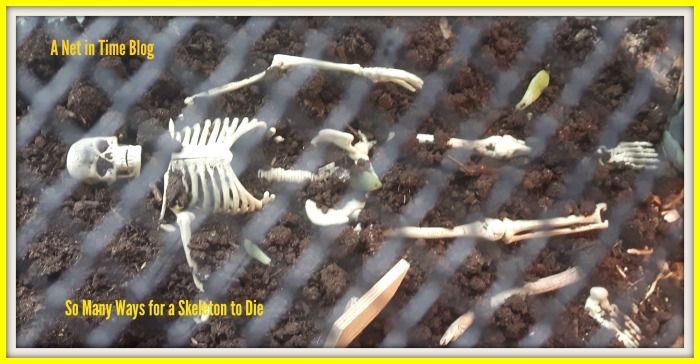 Where will they nest to stay safe? read the book and find out! Recommended reading level… teenagers and up. Not a lot of adult theme, but there is some. 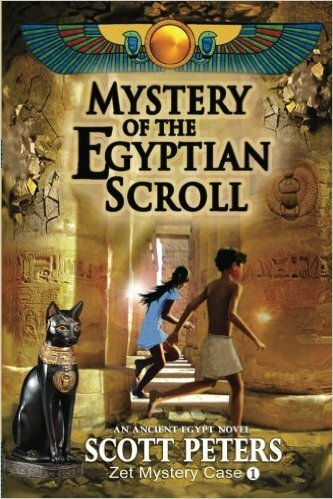 Mystery of the Egyptian Scroll: Secret Agent Zet Series Book 1 . My son and I absolutely loved this book. It was a quite read, held our attention, taught us alot about Egypt and her people, and was just a great mystery. We were on pins and needles as we waited to find out how the bad people would be stopped. Rest assured they were. Definitely recommend reading this one. Did you know that sometime in the 4 months we’ll be moving? To that end, we’re trying to find the furniture and belongings that we say “I’m not going to move that”. He even went out and bought two new-to-him shelves for his room. He’s rather pleased with how it all turned out and said I could post it up on the blog for comments. No before pictures as well… he wasn’t happy with his room so no pictures allowed of that. Allow me to walk you through some of his changes. Where the shelves are placed used to be a large drawer cupboard. It was good for the storage of blocks of wood, stuffies, toy animals and such like, but he’s 11 now, his play takes a somewhat different turn these days. 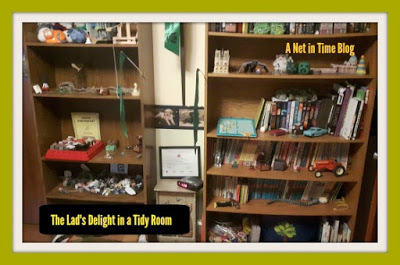 We moved it out to the book room where I’ll use it for other things. It left him with one shelf which was unacceptable, but YAY!! Mom found some shelves for sale and the previous owner was willing to accept counter offers from a lad!! An even better woot woot! 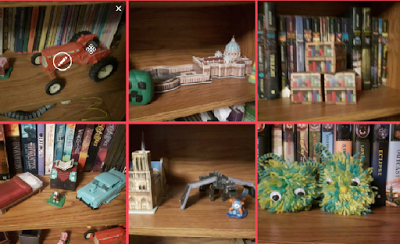 Top Shelf – Christmas Snowmen, trophy and catapult. 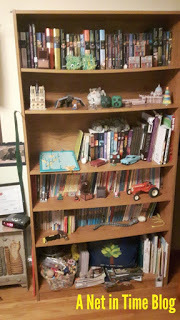 Bottom shelf – can you see how he made an area for his cat to lie down? He is SO pleased with his just for Milo area. 🙂 and Milo seems to like it too. All we need to do now is add a cat door to his bedroom and Milo will always have access to HIS BOY. 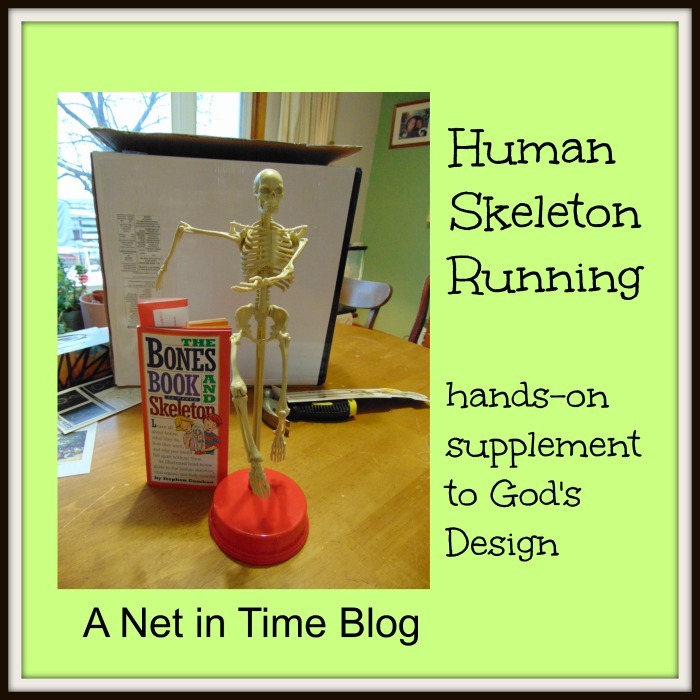 This unit predominately holds his books along with his 3-d models and a few other treasures. The tractor is a reminder of his grandfather. 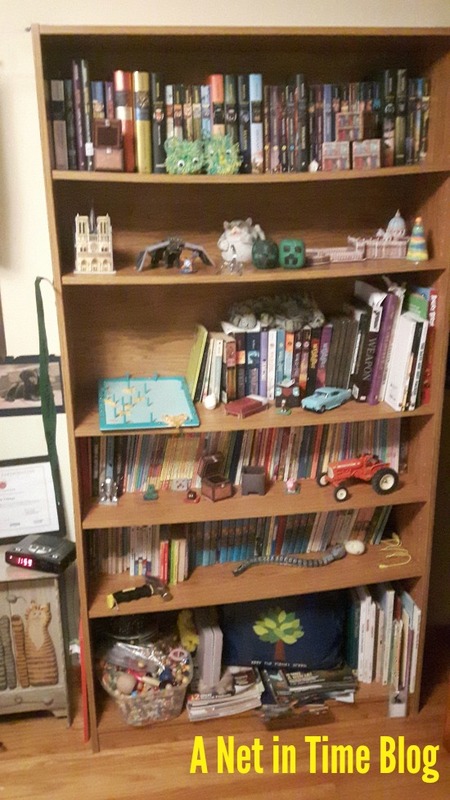 The bottom shelf holds toys he can’t quite get rid of yet, as well as some cat magazines etc. Model car, items from Kiwi Crates and a bit of this and that. One last area that he wants to show off. OH!!! I almost forgot!!! He figured out how to hang up his real sword!!!! They haven’t any chins at all. but, I think mice are rather nice. I learned this poem as a child and it has stuck with me ever since. 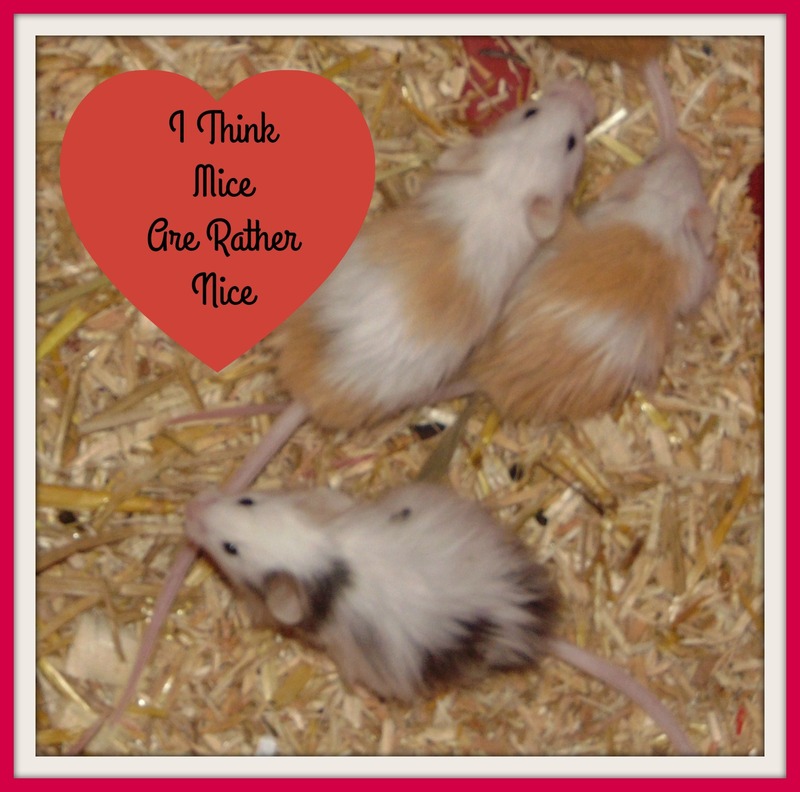 but I think mice are nice!